Today we’ll be discussing portable coolers, trying to find an answer for simple yet complex question: what is the best cooler bag? There may be times when a cooler will be needed, but you just don’t need one for several people. Perhaps you have cooler needs just for one or two people. So what do you do? Well, you could drag along your regular sized cooler, OR you could opt for something more portable, and honestly more convenient and realistic. .There is a very good chance that you have either seen someone with a Yeti (no, not the creature), or have seen one for sale online and have been intrigued. There’s a reason we have rated it the best portable cooler bag. They are simply one of the, if not THE best when it comes to coolers – period. The Yeti Hopper Cooler brings you all of the quality that you will normally find in a Yeti Cooler. This model comes in at 24 x 19 x 13 inches and weighs in at 9.9 pounds. According to Yeti you can fit 18 cans or even six footlong sub sandwiches. If you are packing food and drinks for you and some friends then this will easily do the job. In fact, if you need to keep food cold for several days, then this will do as well. One user noted that he needed ice retention as well as portability, as he was traveling by motorcycle for several days. The user reported that he was able to with the Yeti Hopper. 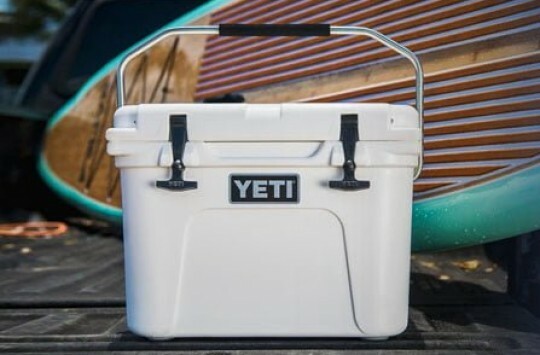 Another user was absolutely pleased with the Yeti Hopper stating that she literally leaves items in the cooler for days at a time, and uses it on long road trips. The user stated that it goes beyond normal expectations of a cooler. 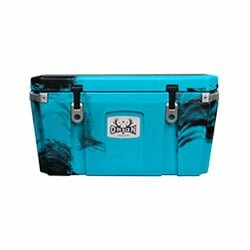 If you’re looking for the Yeti coolers on sale, read this post. Want to learn more about Yeti Hopper? Then visit this product page on Amazon for details and customer reviews. .Sound like a weird name for a cooler bag? It’s really not and honestly suits it. You’ll feel like a pack mule, but really in a good way. 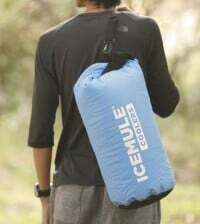 Rated as the best insulated cooler bag is the Icemule Cooler bag. It looks like a single cinch up backpack with one padded back strap instead of two for easy transport. You’ll like the look and design of this cooler bag, especially if you find yourself on long treks and having to carry it for long distances. 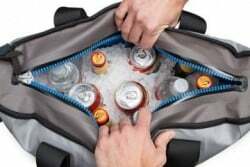 This cooler bag comes in at 1.7 pounds and can hold up to 12 cans with ice or even 5 bottles of wine with ice. The manufacturer states that it can keep ice intact for up to 24 hours and even floats, which means if you are on the open water, then you wont need to worry about it falling off the boat. When it’s not in use, it will easily roll up and go into any other bags that you have. One user stated that the strap is secure and the bag itself is nearly indestructible. While the manufacturer said ice retention can be kept for up to 24 hours, this user actually got nearly three days of ice retention. Another user stated using this as their personal lunch cooler daily for four months, with little wear and tear being shown, and looks forward to getting more use out of the cooler. For more details, please read full Icemule Cooler Review we recently published on our site. Are you looking for a name brand you may have heard of more? How about a cooler that mixes both hard and soft products together for one of the best small cooler bag offerings out there? You’ll find all of those in the Coleman small cooler bag. This bag holds 9 cans, has an adjustable shoulder strap and zippered pockets for even more storage. 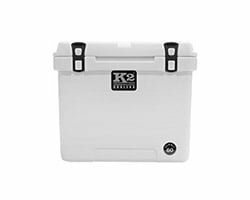 At a portable 1.2 pounds and measuring in at 10 x 8 x 7 inches, you’ll find this cooler to fit your individual needs pretty nicely. One user reported going through four other coolers before finding that this one fit their needs the best. The user applauded the zipper strength and the ease in cleaning the product because of the removable liner. Another user stated that they were looking for a replacement cooler that could meet all of their needs, such as a tall thermos. The original cooler that was used, was used for 15 years and the search was on for a replacement. Unable to find one until this Coleman offering, the user called it the perfect cooler. Our guide about top Coleman coolers can provide you with additional insight about their coolers. 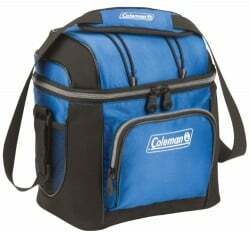 For your convenience, here’s a link to the Coleman Small Cooler Bag on Amazon where you can check the current price and read customer reviews. .This cooler can not only be called the best picnic cooler bag, but perhaps even the best all-in-one cooler bag. It measures in at 12 x 2.5 x 10.5 inches and weighs just under one pound. It will fit different sizes of lunch boxes, containers, water bottles and more. With pockets for bottles on the exterior and numerous zippered pockets, you’ll be able to fit things such as silverware and other materials that don’t need to be refrigerated. One user noted the large size and capabilities to pack different things. The user also said that they enjoyed the cleanup, as the removable liner comes out nicely. The user said that spills are no match in the cooler because of this liner. Another user stated taking this one on the go, saying that when it is empty it is so small that it can easily be packed into a suitcase. 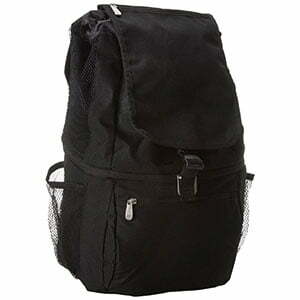 The user said that the durability and pockets also make this a nice cooler bag for a multitude of uses. For more details, check out Cooler Bag by Freddie and Sebbie on Amazon. Alright, so you are ready to buy and know what you want. Well, before you start making any purchases, there are a few things you need to keep in mind. Here are a few. This is important to note as you should know what the actual capacity with ice will be, as you will be the one using it. For example, if you needed to be able to pack 18 cans with ice, then you may not want to purchase the Icemule, as it only packs 12 cans with ice. For that specific need, you may want to opt for the Yeti as it can pack 18 cans. There is a big difference from needing a cooler to take to work and a cooler that can withstand outside elements. For example, if you needed a cooler to take to work for your lunch, then perhaps the Cooler Bag By Freddie And Sebbie is ideal. 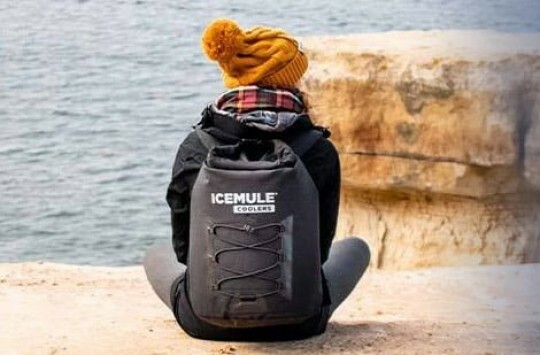 However, if you need a bag that may accidentally be dropped in the water and need it to float, then you may want to give the Icemule a shot. If you need to take a soft cooler for long distances and need something more comfortable to wear and carry, then the Icemule may just be your cooler. Do you need to carry things like napkins, silverware or even sunscreen? If you have needs that call for extra zippered pockets, then you may want to skip the Yeti and Icemule, and head straight for the Coleman and Freddie and Sebbie models. While this one always comes up, you will find a wide range of prices on the coolers here. 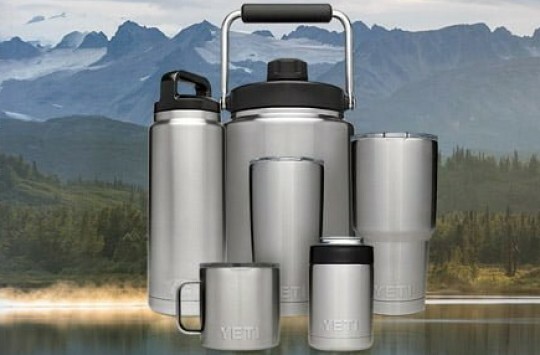 If you need something more durable and can afford it, then you may want to try out the Yeti. If you are on a budget, then you may want to pick up the Coleman which is much more affordable and will fit most budgets. 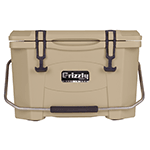 The bottom line here is that you will definitely be able to find something here to suit your best portable cooler needs. We are certain you will be able to find the best picnic cooler bag or best small cooler bag to fit your needs. Take a look at your budget and what your specific needs are, and we are sure you will be able to find something here to suit your needs.